Staying near LaGuardia Airport? No need to sacrifice comfort and amenities for convenience. 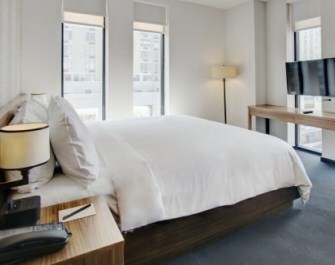 The expert editors at UltimateHotels.com have compiled our picks for the Top 10 Hotels Near LaGuardia Airport in New York. The hotels on our list are smart options for leisure travelers with early or late flights or time crunched business people attending meetings. 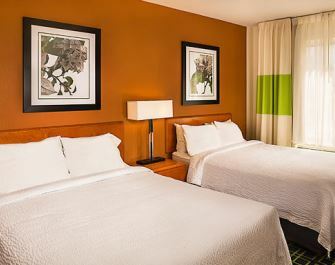 The Springhill Suites New York LaGuardia Airport is our top choice for one of the best hotels near LaGuardia Airport. The 173-room all-suite hotel offers free Wi-Fi and airport shuttle. Amenities include a bar, 24-hour front desk, business center and gym. Rooms features cable TV with HBO, work desk, refrigerator and microwave. A full breakfast is available featuring coffee and a selection of pastries and fruit. The 50-room Wyndham Garden LaGuardia South features free Wi-Fi and modern fitness facility. The hotel has a Starbucks on-site for those that need a quality caffeine option. Each fully accessible room comes with a flat screen TV, work desk and ergonomic chair. The hotel is located near major shopping centers with Queens Center Mall and Macy’s next door. BLVD Bistro & Bar serves up hearty and light meal options as well as a full cocktail menu. The 168-room Hyatt Place Flushing LaGuardia Airport hotel is located atop a modern retail center. The center features a choice of restaurants and shopping options. The hotel features a free airport shuttle, rooftop outdoor garden and indoor swimming pool. For food and drink, the on-site restaurant and lounge offer views of the Manhattan skyline. 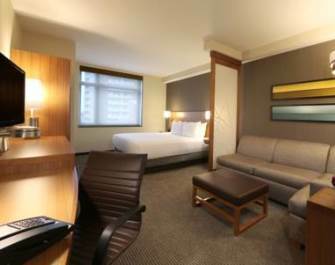 Rooms feature free Wi-Fi, Hyatt’s signature bed, 42-inch HDTV and work desk. Baths come with granite counters and upgraded amenities. The Flushing Inn New York LaGuardia Airport hotel offers a host of free services. The 88-room property offers a free hot breakfast buffet, shuttle to LaGuardia, Wi-Fi and parking. Each room has a flat screen TV with premium channels, microwave and refrigerator. Additional items include coffee maker, ironing facilities, work desk and hair dryer. 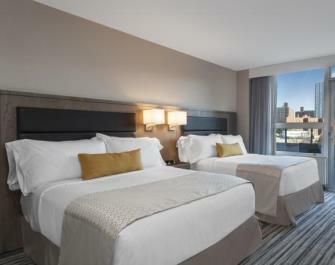 The 288-room Courtyard New York LaGuardia Airport is a modern, full service hotel. The property features free 24-hour airport shuttle, outdoor swimming pool with sundeck, meeting space and free Wi-Fi service. The lobby is designed for a relaxed and informal gathering or work environment. Rooms are smoke free and include large work desk, flat screen TVs, Revive bedding, coffee and tea service. Aileron Bar and Grill serves breakfast and dinner and features a full service bar. The pet friendly, 96 room Parc Hotel has a modern design and oriental flair. The hotel features free Wi-Fi and breakfast with Chinese specialties. Each room features skyline views, plush bedding and upgraded C.O. Bigelow bath products. Amenities include LED lighting and Nespresso single serve coffee machines. The A+ Roof Bar offers cocktails and watching arriving and departing jets from LaGuardia. 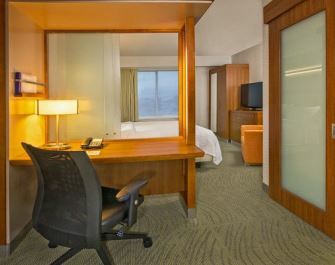 The New York LaGuardia Airport Marriott ranks as the closest in our list of hotels near LaGuardia Airport. The 438 room property features free airport shuttle service, meeting space and two restaurants. For working out the hotel has a modern fitness center with 24 hour access. 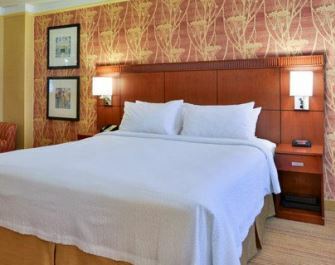 Rooms feature upgraded bedding, flat screen TVs and ergonomic workstations. The Steinway Specialty Restaurant and Empire Lounge offer all day dining options. 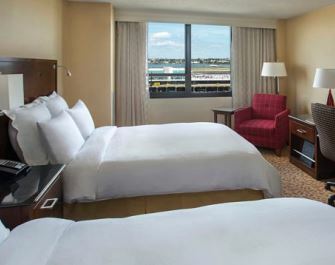 The LaGuardia Plaza Hotel is the second closest to LGA of our top hotels near LaGuardia Airport. The 358 room property features free shuttle service and free Wi-Fi. For fitness, there is an indoor pool and fully equipped gym. Each room and suite offers upgraded bedding, coffee makers, ironing facilities and work desk. The on site restaurants, Pavilion Grille and Elements Lounge, offer dining and cocktail options. 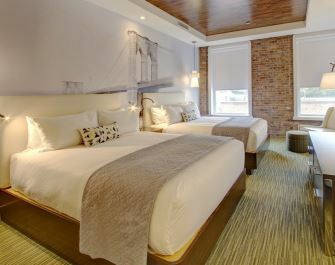 The boutique Hotel de Point is the most sustainable of our top 10 hotels near LaGuardia Airport. The 114 room hotel features solar power, LED lighting and water saving programs. The property offers free breakfast, Wi-Fi and parking. Elegant rooms have soothing color palettes and custom artwork. Amenities include Keurig coffeemakers, plush bedding and Pure by Gloss bath products. On site restaurants include an Asian buffet, Italian Pizzeria and lounge with cocktail service. 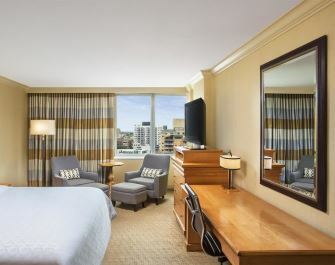 The 173-room Sheraton LaGuardia East Hotel features free airport shuttle and Wi-Fi. The property has meeting and event facilities, a 24 hour business center and rooftop terrace. For staying fit on the road, there is a fully equipped fitness center on-site. 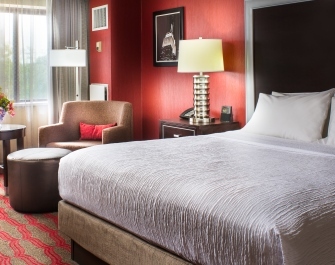 The non-smoking guestrooms feature the custom Sheraton Bed with pillow top construction. Room amenities include laptop safe, coffeemaker and refrigerator. The on-site restaurant serves Asian cuisine and offers several private karaoke rooms. To pick our list of the Top 10 Hotels Near LaGuardia Airport, our researchers identified 100 hotels within a 5-mile radius of the airport. Hotels were scored and stack ranked based upon an unbiased review of traveler ratings across five major online booking & review sites – TripAdvisor, Expedia, Hotels.com, Booking.com and Trivago. The highest scoring 25 hotels were individually evaluated by our expert editors to determine our final picks for the Top 10 Hotels Near LaGuardia Airport.